Sooner or later all dental work will need repair, revision or replacement. 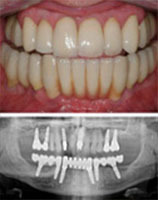 Numerous studies have shown that the single most important factor in the success & longevity of dentistry is who does it! Yes it’s true, the dentist’s skill, precision and attention to detail has a huge influence on the success and durability of dental work. That’s where our expertise and experience in all aspects of restorative dentistry as well as the other disciplines helps us to achieve the best possible long-term results for our patients. We are not interested in short-term, quick-fix dentistry. Our philosophy is to do the best long term dentistry for our patients. This is where our expertise and experience really helps. 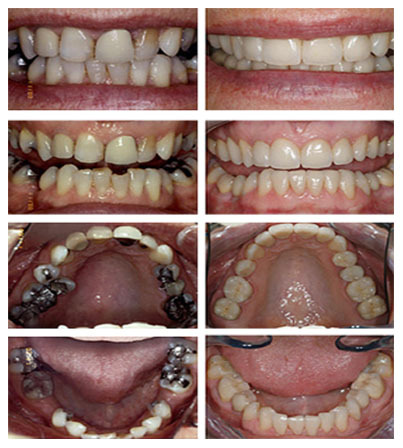 Tidu Mankoo has nearly 30 years of experience treating complex, failing dentitions. We literally have hundreds of successfully treated extensive and complex cases that are enjoying a renewed quality of life year after year from their life-changing dentistry. Of course, dental implants, implant dentistry, periodontal treatment, aesthetic dentistry, orthodontics, endodontics, cosmetic dental treatments all play a key role in getting the best results for our patients. Restorative dental treatment may include a range of treatments from tooth whitening, composite bonding, braces, root treatments, fillings, crowns, dental bridges, veneers, dental implants, plastic gum surgery, bone and gum rebuilding & grafting, and more! If you are a complex or extensive case, call us on 01753 833755 for experience and expertise you can trust for excellent results! read some of our more recent case studies. The best way to get a feel for what we do, from our patients.